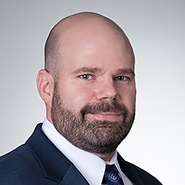 WASHINGTON, D.C. — The national law firm of Quarles & Brady LLP today announced that David Blank has joined the firm’s Health Law Practice Group in its Washington, D.C. office. Blank's primary practice areas focus on fraud and abuse, corporate compliance and governance, and litigation matters. David joins the firm following a distinguished career in the federal government. For over a decade, David served as senior counsel for the United States Department of Health and Human Services, Office of Inspector General (OIG), where he represented the Agency in health care fraud and abuse matters involving the federal False Claims Act (including the Anti-Kickback Statute and Stark Law), Civil Monetary Penalties Law (CMPL), and federal program exclusion authorities. Blank is coming to Quarles & Brady as the OIG's most senior and experienced enforcement attorney. During his career, David led hundreds of investigations and enforcement actions against various providers and suppliers including life science companies, device and durable medical equipment manufacturers, hospitals, physician practices, pharmacies, home health companies, long-term care providers, and individual practitioners. David's work served as the blueprint for the OIG’s development of a dedicated litigation team focusing solely on the imposition of monetary penalties and the exclusion of individuals and entities. Blank's enforcement accomplishments included hundreds of resolutions including some of the most significant and noteworthy civil money penalty and exclusion results obtained by the Agency. Blank earned his law degree from the Nova Southeastern University Law Center and his bachelor's degree from the University of Central Florida.